This book presents, in a comprehensive manner, the current unmanned aviation regulations, airworthiness certification, special categories of aircraft, pilot certification, Federal Aviation requirements, operating rules, airspace classes and models of development regulations. 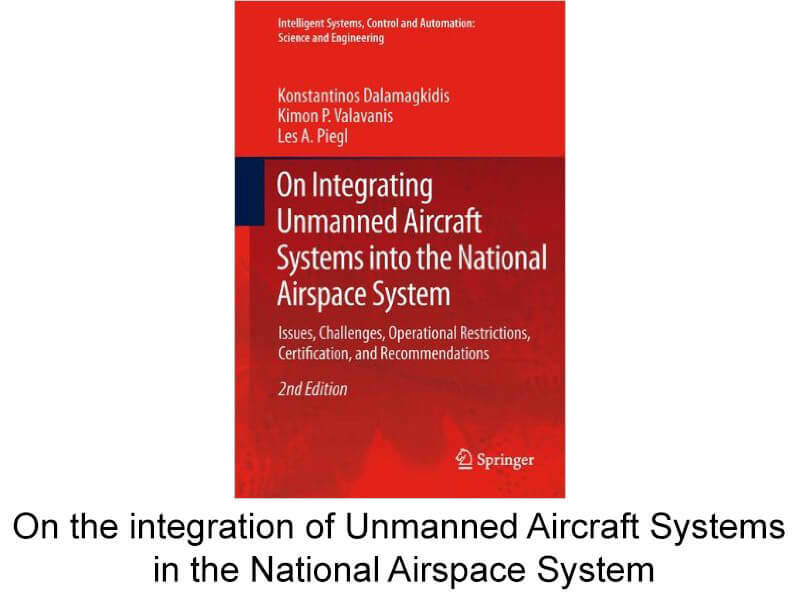 It discusses unmanned aircraft systems level of security derived mathematically using the corresponding levels for manned aviation. It provides an overview of the history and current status of UAS airworthiness and operational regulations worldwide. Existing rules developed to the need for full regulation of UAS. It focuses on UAS safety and functional requirements, achieved in terms of defining an “equivalent level of safety”, or ELOS with those of manned flight, specifying what the ELOS obligation entails for UAS regulations. To achieve this, the safety performance of the manned flight is evaluated first, followed by a new model to derive the reliability necessary for the achievement of target levels of security (TLS) for ground effect and mid-air collision accidents.It discusses elements of a viable roadmap UAS leading to integration into the NAS. For this second edition of the book almost all the chapters contain important updates and improvements. There is also a new Appendix.